We are delighted to have been selected by NK Homes as the exclusive marketing agency for Timberlake Commons in Hanover. Team Hensley, led by Annemarie Hensley, has been chosen as the exclusive sales team representing the community. 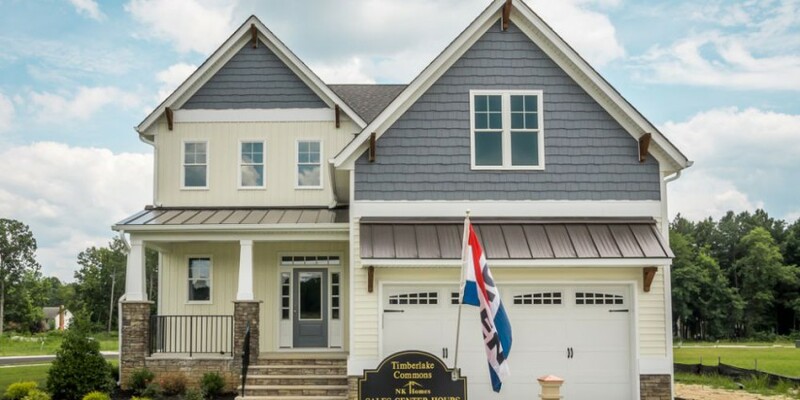 Timberlake Commons is NK Homes’ newest development and one that allows one to easily balance life and homeownership. The quaint lot sizes allow for maximum living without the hours of upkeep. Need just a little more yard space? Large common areas line the back of the community. Timberlake Commons is in its beginning phase and has 40 lots available! 3 signature floor plans will be featured including the Arlington, the Rappahannock and the Winchester. The plans vary in size from 2300 square feet to 2800 square feet and start at $328,000. And did we mention location? Directly off 301 and just minutes from 295, the community is centrally located near food, shopping, entertainment and a part of the Atlee High School family. Click here to learn more about this special new community. For more information about Timberlake Commons or to arrange a visit, contact Leah DiPofi at 804-787-3373 or email leahdipofi@lizmoore.com for a brochure.